CLICK ON LOGO to go to the Train Mountain Museum website. Here you will find information about the Museum, a Walking Tour Guide, and a list of Historic Equipment on display at the Museum. CLICK ON LOGO to go to the Train Mountain Railroad Member's Website. 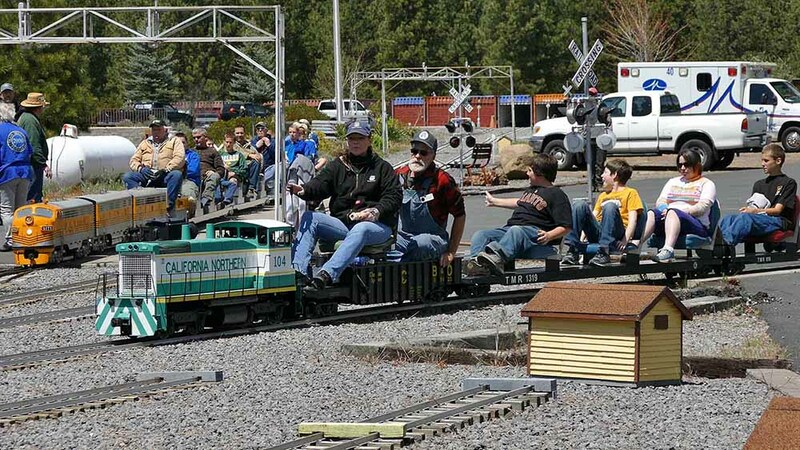 This is the site for information about the miniature railroad hobby. CLICK ON LOGO to go to the Train Mountain Institutes's Website. 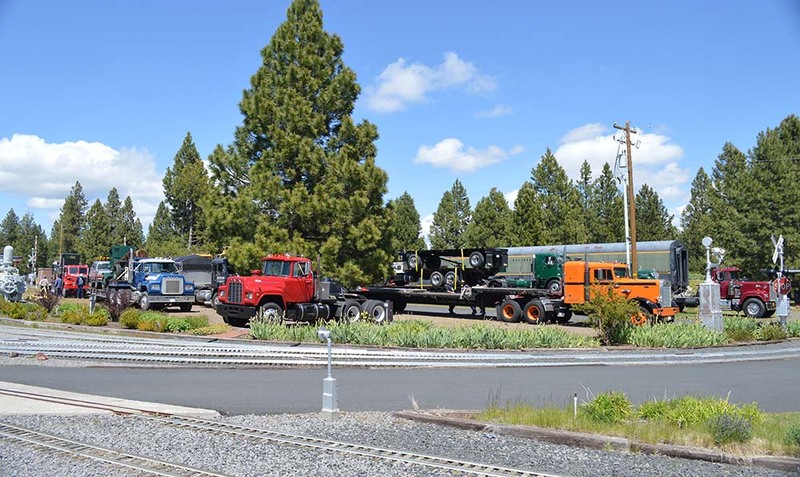 This is the site for information about the 501c3 non profit public benefit corporation that owns Train Mountain, and provides Railroad educational opportunities at Train Mountain. CLICK ON LOGO to go to the Friends Train Mountain Website. This is the site for information about the 501c7 non profit corporation that provides support for Train Mountain, and has the motto "More Track - More Fun!". 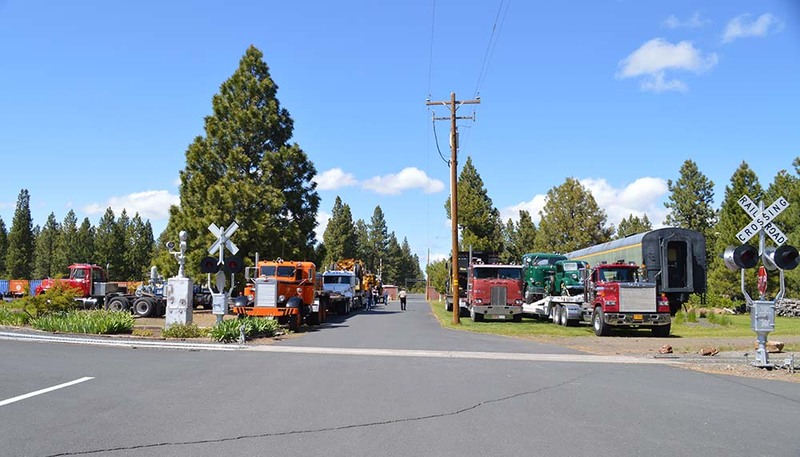 CLICK ON LOGO to go to the Klamath & Western Railroad's Website. This is the site for information about the 501c3 non profit public benefit corporation that provides Public Train Rides on a portion of Train Mountain Track. 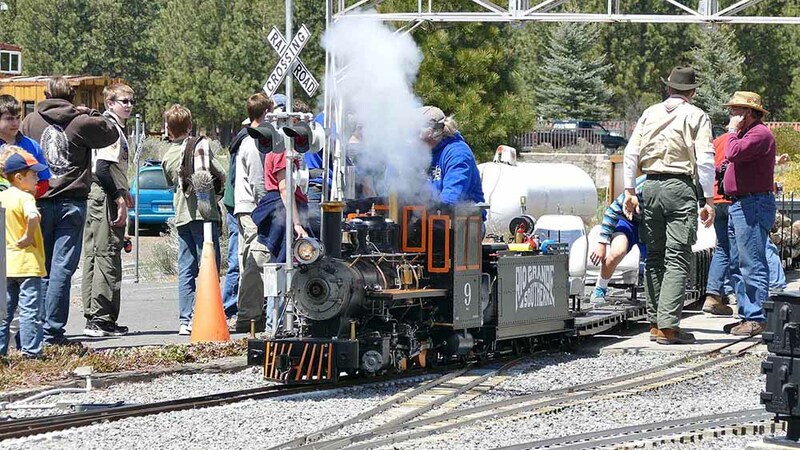 For information as to when Public Train Rides are available, Please visit the K & W Website for details and schedules. CLICK HERE for the Train Mountain Museum Website. Train Mountain hosts the Train Mountain Railroad Museum. Walking and Rail Tours are available. CLICK HERE for the Train Mountain Railroad Website. 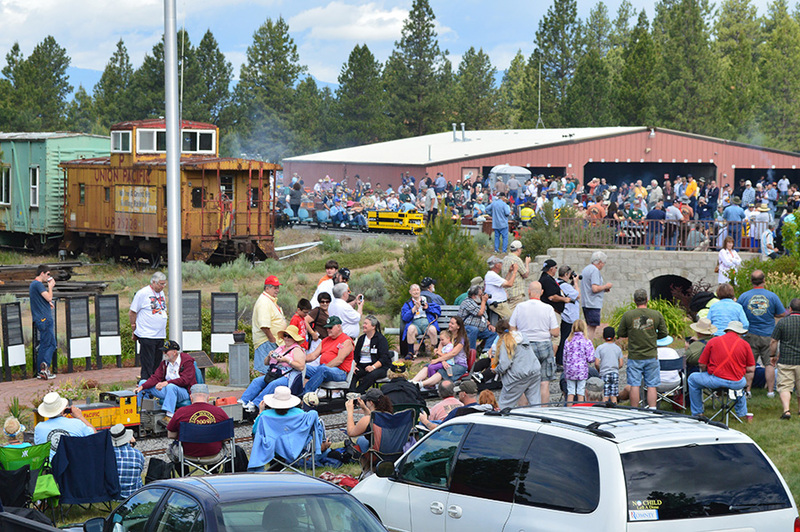 Train Mountain Railroad (TMRR) members host Train Meets. TMRR volunteers run the day-to-day operations of Train Mountain. CLICK HERE for the Train Mountain Institute Website. TM Institute operates Train Mountain for educational purposes. CLICK HERE for the Friends of Train Mountain Website. Upgrading, and repair of old track and building new track. Friend's motto is, "More Track - More Fun." 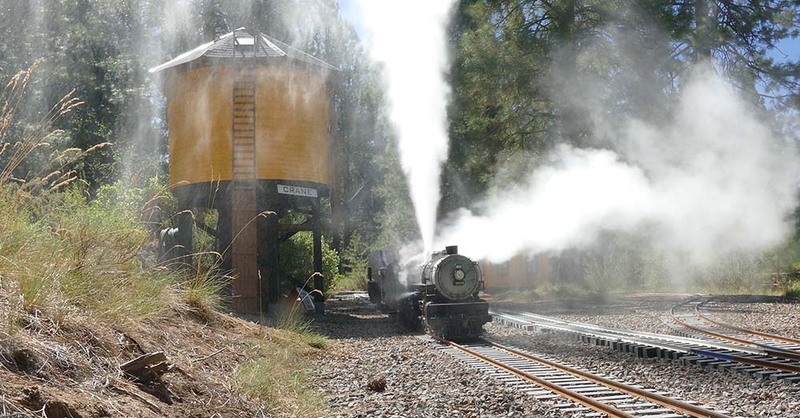 Click CLICK HERE for the Klamath & Western Railroad Website. K & W provides Free Public Train Rides During the Summer. Saturdays Only from 10 am to 3 pm. Check their Website for Special Events.